Our Showroom Has Every Tile You Can Imagine, Come Say Hi! Travertine Direct are one of the UK’s leading importers and distributors of Travertine, Natural Stone and Porcelain tiles. Unlike most other tile importers and retailers, we specialise in 1st Grade quality tiles and we leave ‘no stone unturned’ when sourcing the best quality products from around the world. We are experts in what we do and we will not compromise. 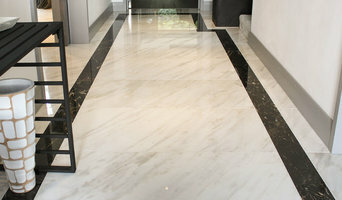 IDEAL Marble are specialist contractors in the field of marble, granite and other natural stones. We undertake work in the most exclusive residential properties and hotels in the UK. Whether kitchen worktops or complete bathrooms Ideal Marble give the same attention to detail and quality With over 30 years experience in this type of project and our dedication to very high levels of service and quality IDEAL Marble are the perfect choice to work with you in your home. Al-Murad is Britains largest independent ceramic tiles and natural stone importer and retailer. We have over 40 stores and 30 family run franchises throughout the UK. We specialise in ceramic tiles and natural stone from all over the world including Spain, Turkey and Italy - you’ll be spoilt for choice. In our extensive range you’ll also find travertine, granite, marble, limestone, glass, porcelain, mosaic, slate, manmade stone and under floor heating as well as all the top branded adhesives and tile accessories - all under one roof! We have the ability to buy big, direct from the manufacturers thus passing on the savings we make, to our customers. We will price match and genuine quote. The company has been in business now for over 30 years thus having the capability of knowing the market and its products thoroughly. We routinely import 20 containers a week from across the world - ensuring our customers are always first to see the latest tiles to hit the market. For over 34 years, Lapicida has worked with architects, specifiers, interior designers, retailers, property developers and trade customers across the UK, Europe and US. We offer a stunning selection of natural stone, porcelain, terracotta and ceramic floor and wall tiles, natural stone baths, basins and shower trays. We also reclaim rare antique stone from some of Europe’s most historic residences and create tiles rich in provenance with both traditional and contemporary finishes. Our workshops in Harrogate are renowned for bespoke design and manufacturing; marrying state-of-the-art processes with traditional stonemasonry techniques. Lapicida’s bespoke objects are created using 3D scanning and CNC Shaping Mill technology. We can scan any object or create it using 3D software then carve stone into any 3D shape using Europe’s largest shaping mill. We also collaborate with designers such as Bethan Gray, Lara Bohinc and Anouska Hempel to create works of art in stone. 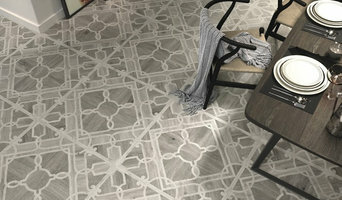 • Genuine Antique Reclaimed tiles and bespoke 3D Geometric floors. • Marble, granite, limestone, sandstone, travertine, slate, quartz, terracotta, porcelain and ceramic surfaces. • Manmade ‘sintered’ stone – sole UK retail distributor of Silestone® and Dekton® flooring and cladding tiles. • Baths, basins and shower trays. • Bespoke 3D object CNC Shaping Mill carving service. • Collaborations with leading designers. We also recycle stone and are taking steps to become fully carbon neutral. Contact Lapicida on +44 (0) 1423 400 100, enquiries@lapicida.com or visit the Lapicida showroom in Harrogate, North Yorkshire. Tilesandmosaics.co.uk holds over 100,000 square metres of tiles in stock at any one time, comprising hundreds of styles of floor and wall tiles, mosaics and associated products, all sourced from Europe's leading suppliers. With more than 40 years of experience in helping people create chic and stylish designs with tiles and mosaics, we have hundreds of products available online and to view in our showroom. 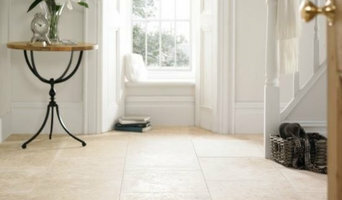 Tiles Direct are an independent tile distributor based in Leeds, Yorkshire. 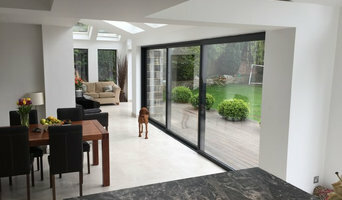 We offer one of the largest stocks of tiles online with an unrivalled value from our competitors. Our team provide a fantastic customer service and our reputation is second-to-none. Unlike many other tile suppliers, the tiles from Ceramique Internationale Ltd are sourced directly from some of the best Italian and Spanish tile manufacturers. We have visited them all personally to find you the right tiles for your project whether it's for the home, the office or a major commercial project. We have been in business since 1974 so you get all the tips, experience and advice about tiles and mosaics that we have built up over the last 38 years! Based in Leeds, AD Wall & Floor Tilers are a small business boasting a comprehensive service. Whether it's kitchens or bathrooms, walls or floors, we have the expertise to help you get the perfect finish for your home or business. Our highly-skilled team provide a competitively priced, personal service for all our work, with free quotations offered as standard. So, whether it is your home, or your business, ensure the perfect finish throughout with professional tiling courtesy of the experts; AD Wall & Floor Tilers. Worktop installers and tilers in Leeds, West Yorkshire can advise on the best tiles and materials to use based on your tastes and requirements and then will be able to install them to a high finish in your home. Kitchen worktops are a major part of your kitchen – you need surfaces that will be scratch and heat resistant, but at the same time still look attractive and work in harmony with your kitchen units, splashback and other kitchen elements. A worktop manufacturer and installer will be able to fit new kitchen worktops or replace old ones with ease, helping you to pick out the best kitchen worktops for your home first. Tiles are so versatile that they can be used in kitchen splashbacks, floors, bathroom walls and as decorative designs elsewhere in the house. Tile manufacturers and tilers in Leeds, West Yorkshire will have a great range of tile designs, sizes and materials to choose from and will help you to pick the best tile for the job. Laying tiles may look easy sometimes, but one badly laid tile can ruin a whole floor or wall, so it’s really best to leave it to a skilled tiler. With Houzz you can find Leeds, West Yorkshire tilers, tile manufacturers and worktop installers near you and check their previous projects, reviews and ratings to decide if they’re a good fit for your home design project. Why should I hire worktop installers or tilers in Leeds, West Yorkshire? Perfectly laid tiles and worktops can look simple and seamless once finished, but installing them is far harder than it looks. It really pays off to hire a Leeds, West Yorkshire tiler or worktops professional as they will have the experience and expertise to finish the job efficiently, quickly and to a high quality. From metro bathroom tiles and porcelain tiling, to kitchen worktops, splashbacks and travertine floor tiles, there will be a tiler or worktop professional who can install the surface you need for your bathroom or kitchen design. There will even be tile and worktop repairers to help you if you need a quick fix-up to your surfaces. Tile manufacturers, worktop professionals, and often tilers in Leeds, West Yorkshire themselves, will also be able to advise you on the right materials to use if you’re not decided on one particular type. They can tell you the advantages of the different flooring, wall tiles and kitchen worktops so you can make the right decision for your home. If you’re after a bespoke tile pattern, mosaic or mural created and laid in your house, this will also be possible with Houzz as we list such a wide range of tile manufacturers, worktop professionals and tilers in Leeds, West Yorkshire. It could be the case that you can find a design or construction company that can offer tiling and worktops as part of their work, whilst also undertaking other projects for your house redesign, so it’s worth looking out for these professionals, too. Here are some related professionals and vendors to complement the work of tiles, stone & worktops: Interior Designers, Architects & Building Designers, Main Contractors, Kitchen & Bathroom Designers, Design & Build. Find a tiler or worktops professional on Houzz. 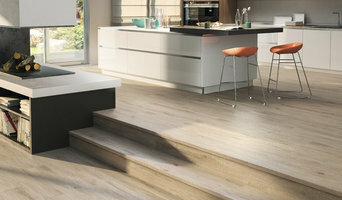 Narrow your search in the Professionals section of the website to Leeds, West Yorkshire tilers and worktop installers. You can also look through Leeds, West Yorkshire photos to find projects you like, then contact the contractors or tilers in Leeds, West Yorkshire who worked on the tiling work or kitchen worktops.